We know the picture does not do this justice but this is an AMAZING treat. I called it “fudge” because that is the best way to describe the taste although mine didn’t last long enough in the freezer to reach the exact consistency of fudge. 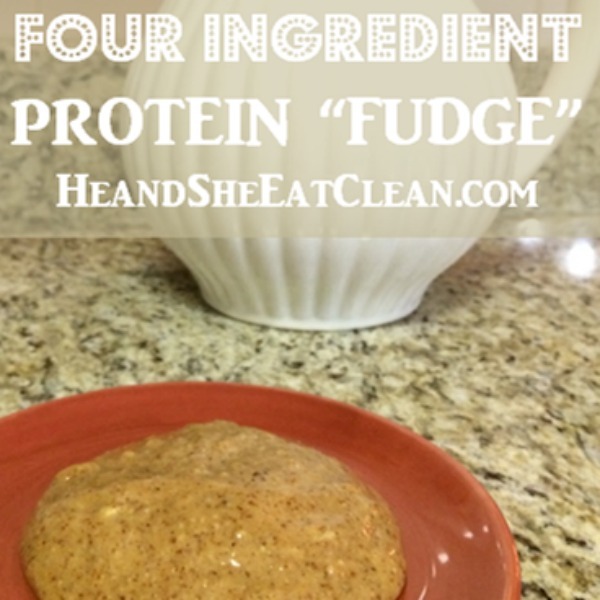 😉 You will absolutely love this peanut butter treat that is packed with protein! Best of all…it’s only FOUR INGREDIENTS! Line bottom of a pan with parchment paper. Pour batter into the pan. Place in freezer until fudge is desired consistency.